Winter Session 1 (Jan 8, 22, 29, Feb 5, 12 & 19) – 6 classes (with 3-class option) — Please note no class on January 15 for MLK day. 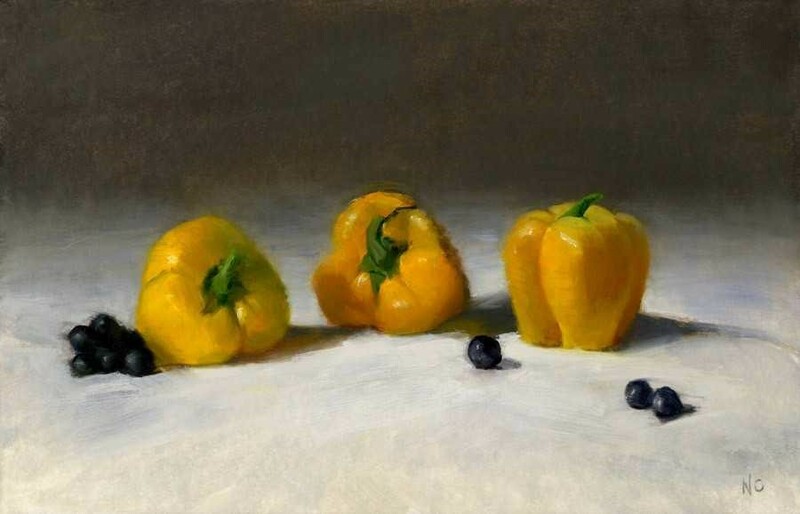 Are you an admirer of Chardin, Caravaggio, or Cezanne? Then this class could be for you! 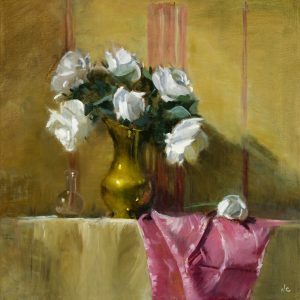 The Still Life is the most serene and contemplative of painting genres, and is also one of the best ways to learn the basic fundamentals of oil painting. Students will be learning to use the materials and will be working toward mastering the aesthetics of composition, value, shape, and color. The goal will be to create paintings which radiate light, depth, and mystery. 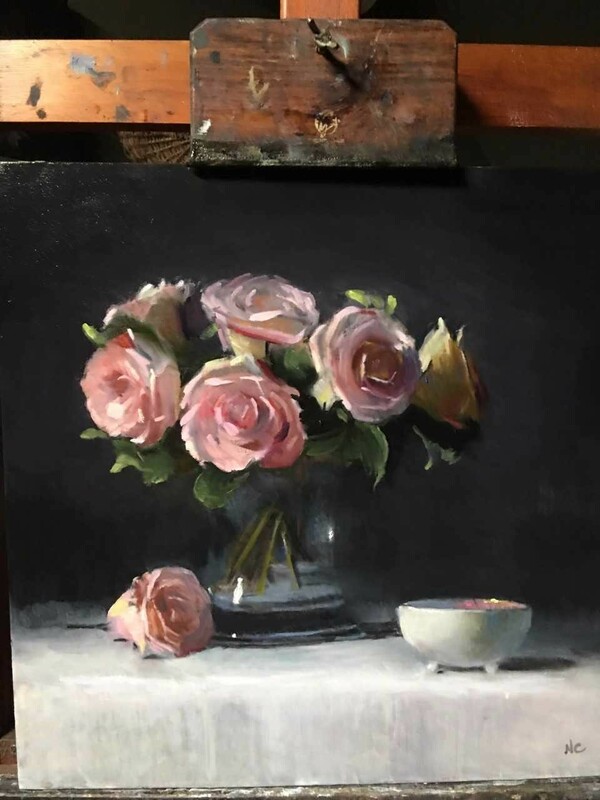 Nancy will be doing step-by-step demonstrations and will explain a straightforward process students can apply to create their own beautiful still life paintings in the classical realist tradition. Students will participate in setting up their own still life “scenes”, using objects provided (or bring your own favorites) and then will paint them while receiving guidance and one-on-one instruction. 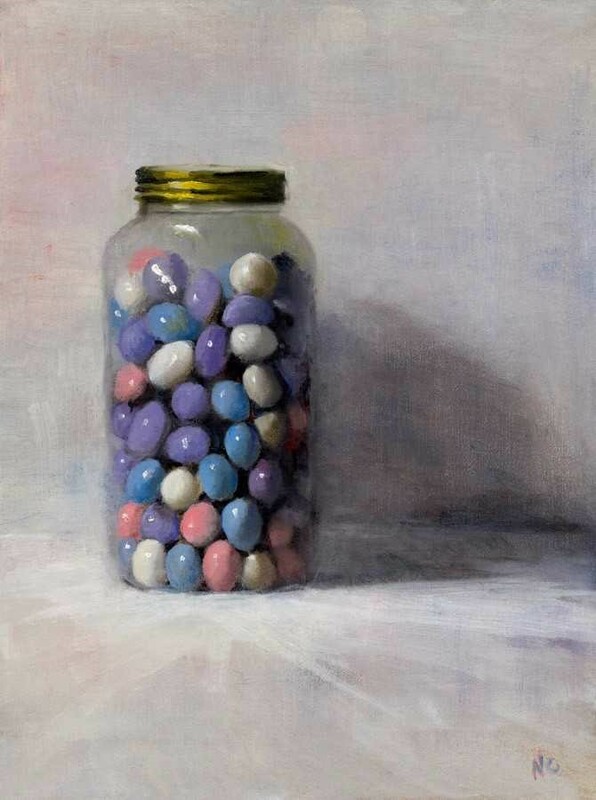 Nancy Cohen is an artist determinedly out of sync with the times. 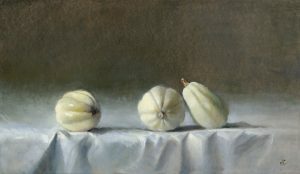 While the rest of the world is plastered to their screens, her oil paintings of landscapes and still-lifes evike the quiet richness of past centuries. Whether it’s simple objects on a shelf or the road through a field, Nancy’s paintings are about serenity, abundance, fragility, and the pure beauty of light. Nancy paints only from life–never a photograph–for it is realness, dimensionality, and imperfection that inspire her. She eschews romanticism–she is not trying to “pretty up” anything. She wants to show the beauty of the real–for it is the evidence of use and age in objects, people, and nature that create beauty. 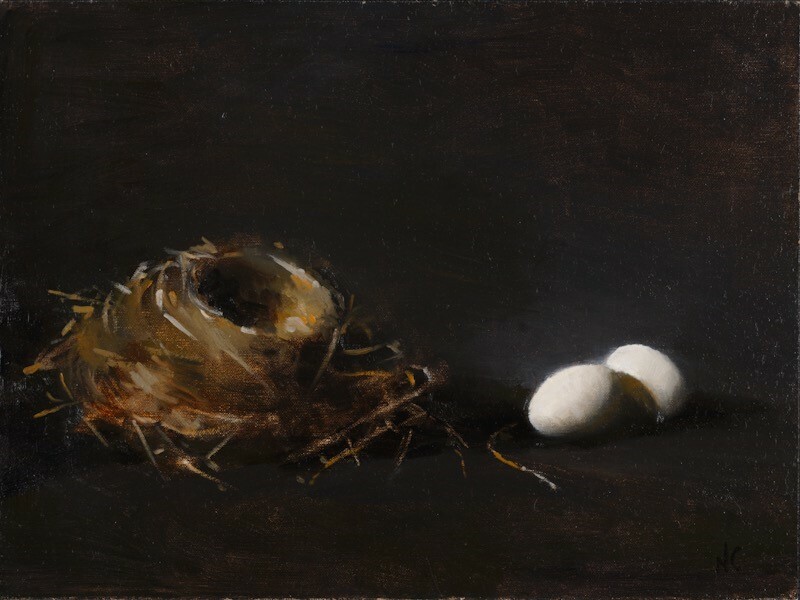 Nancy spends her time painting in a studio that might have belonged to an artist in the 15th century–all murky darkness except for a single source of north light pouring in through the skylights. This silver light transforms the mundane objects in front of her into luminous shimmering vessels of fragile beauty. 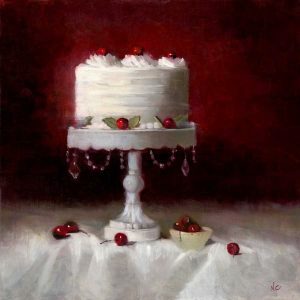 Nancy’s challenge is to capture the beauty before her on canvas so that others can see what she sees. Nancy’s paintings align perfectly with her life philosophy. 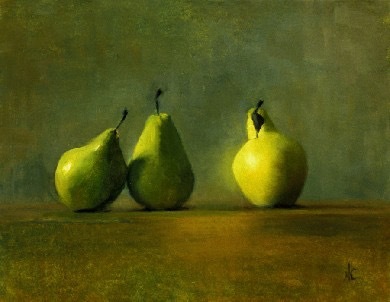 In painting, if you want bright light, you must have dark shadows. The darker the shadows, the brighter the light. In life, if you want real joy, you must experience real pain. The deeper your pain has been, the more profound in your joy when you find it. Nancy studied at the Art Students League of New York with Gregg Kreutz. 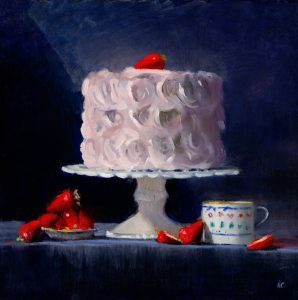 She has participated in the Laumeister Fine Arts show at the Bennington Arts Center in Vermont, has been represented by the Gayle Fedigan Gallery and the Mark Gruber Gallery in upstate New York, and has won awards at the Hudson Valley Art Association and the Arts Students League of New York. She lives in New Paltz, New York.